On December 29 2001, megamixes issued to promote Madonna’s second greatest hits collection, GHV2, made their debut on Billboard’s Hot Dance Music/Club Play chart in the U.S. at #29. 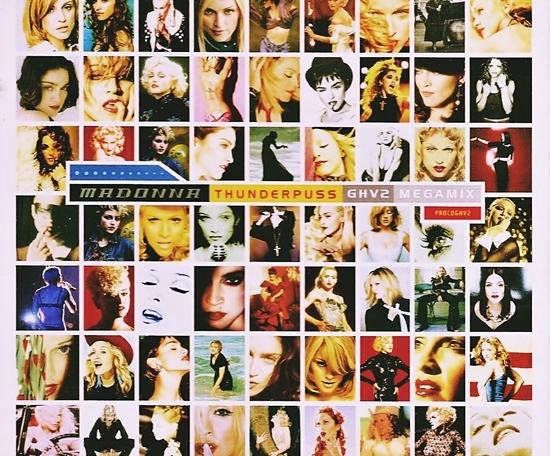 Several promo-only singles were issued by Maverick/Warner featuring megamixes by Thunderpuss, Tracy Young and Johnny Rocks with Mac Quayle and charted collectively under the title Madonna Megamix. An additional marketing push to club DJ’s came in the form of GHV2 Remixed: The Best of 1991-2001 – a promo-only companion collection issued on CD and vinyl that compiled full-length remixed versions of songs featured on GHV2.